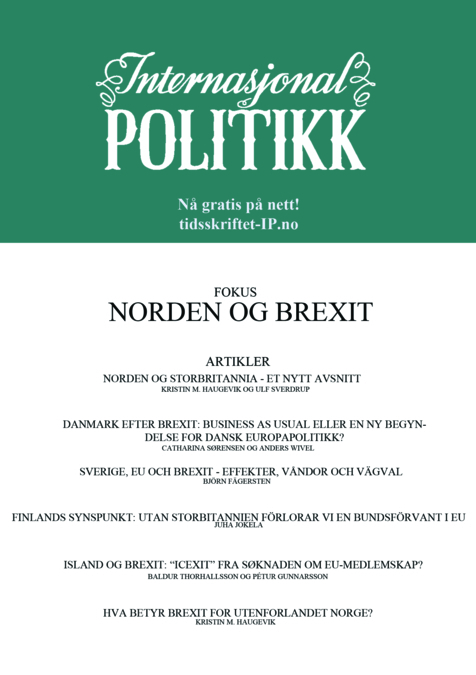 In this special issue of Internasjonal Politikk, we discuss how Britain’s decision to leave the EU will influence Norden and the individual Nordic countries. A little more than a year has now passed since the British EU referendum, which ended with a majority of those voting recommending that Britain should leave the Union. “Brexit” marks a crossroads in European political history, and will be central in European politics for many years to come. The outcome of the negotiations is uncertain, as are the long-term implications of Britain’s withdrawal. 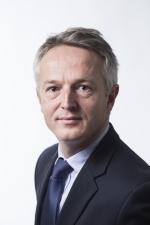 What is certain is that Brexit has already created unrest and insecurity in Europe, and that it will change both Britain’s role in Europe and intra-EU dynamics. 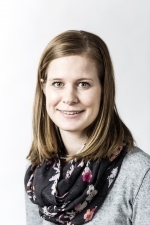 These changes will in all likelihood also influence the Nordic countries – Denmark, Finland, Iceland, Norway and Sweden – which belong in the Northwestern corner of Europe and historically have had close ties to Britain. Independent of their formal attachment to the EU, they all need to redefine their relations with Britain as well as with Europe and the EU post-Brexit.